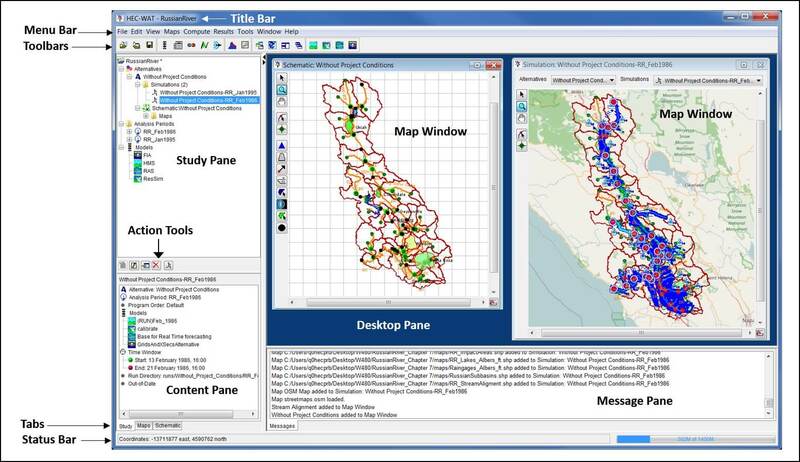 The HEC-WAT software allows USACE to meet its primary mission of managing the nation's water resources in a holistic and comprehensive approach. HEC-WAT supports the planning process for a project delivery team (PDT) by allowing the team to perform an alternative analysis in an intuitive and collaborative manner. This ease of use is provided by the HEC-WAT framework which improves a study team's ability to facilitate transfer of information, convene as a team, provide advice to stakeholders, and work collaboratively. do not contain any HEC-WAT specific code. Further details about the plug-in concept will be detailed in the HEC-WAT Technical Reference Manual (not available for Version 1.0). HEC-WAT. Detachable windows facilitate display during presentations and make it easier to develop schematics within HEC-WAT. HEC-WAT this is accomplished by linking (DSS mapping) the models thru DSS records. In HEC-WAT, the Model Linking Editor provides an easy way to link models andg observed data, and provides a mechanism where the linking only has to done once per alternative. will help a planner address the issues faced during a USACE planning study, and specifically addresses the requirement for systems, watershed, and uncertainty analyses. 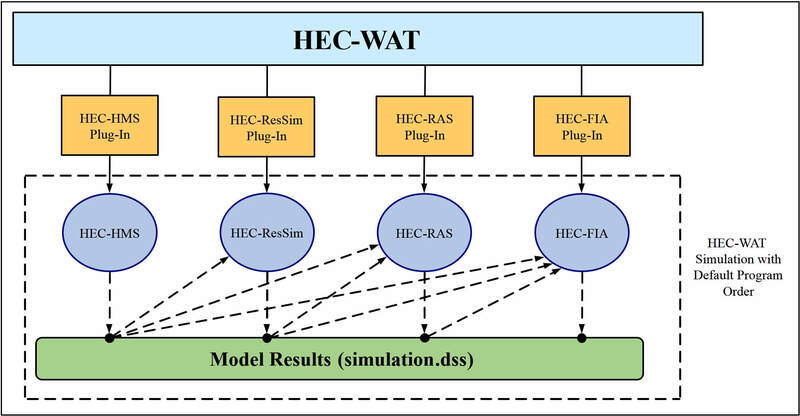 The FRA compute builds on the HEC-WAT framework to provide a convenient method of implementing a Monte Carlo analysis across multiple models for flood risk management. The HEC-WAT framework supports all the software that is needed to perform a system-wide analysis. 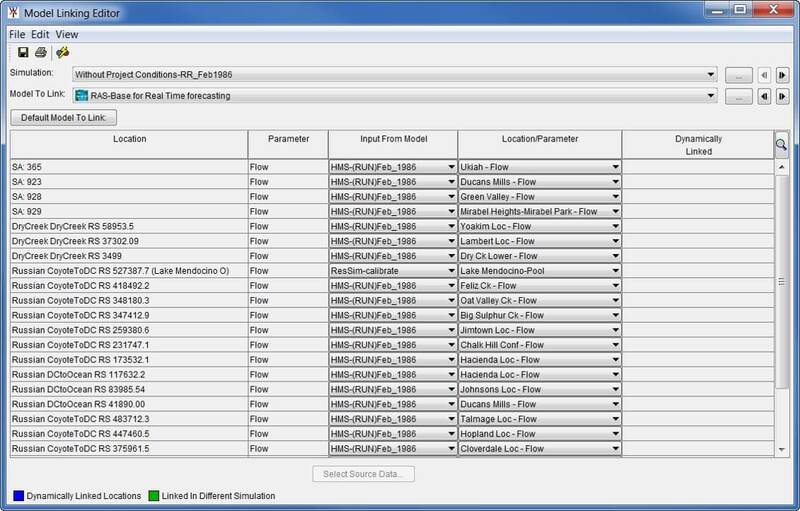 The FRA compute option allows a user to perform plan formulation or system performance analyses while incorporating risk and uncertainty capabilities.